Last year I had the privilege of working with my best friend, Nicky Colley, on the OC MEGA CHALLAH BAKE. It was an insanely huge undertaking with only 10 weeks to plan this huge event, we were thrown into the deep end. We brainstormed, fundraised, organized and planned, volunteering a minimum of 30 hours a week on this project. 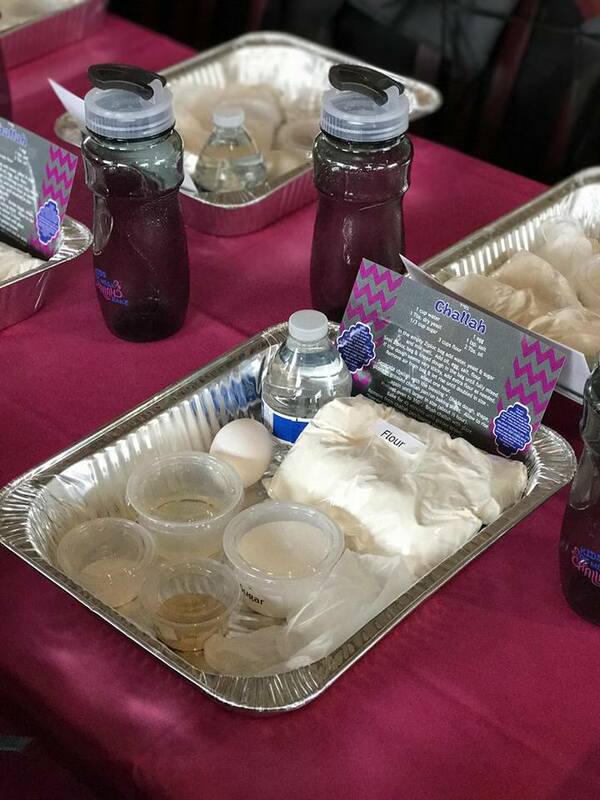 We knew what we wanted to achieve: we wanted every Jewish woman in Orange County to come and be with 1400 women to be inspired and learn how to make challah. If you attended the event, which I am sure that a huge majority of our friends did, you know that every single detail was considered. 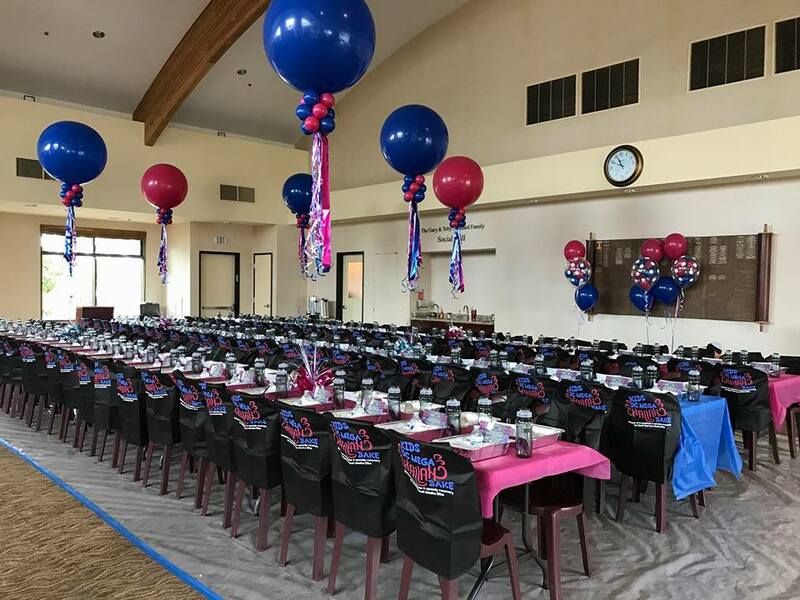 We wanted to make sure that every woman walked away feeling like they can participate in this special mitzvah in their own homes. 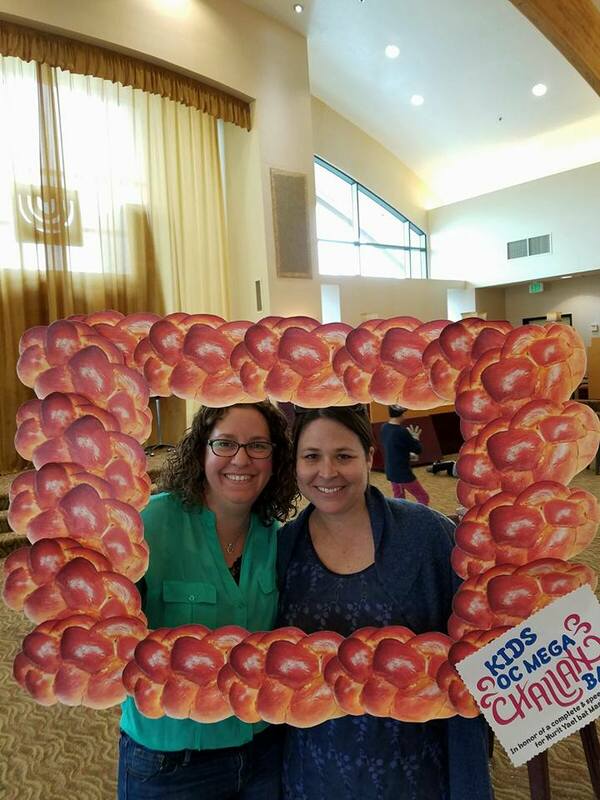 After the challah bake was done, Nicky and I sat down and reflected on what we had accomplished with our amazing committee — a committee made up of women from every denomination in Judaism. We decided that it was time for ALL OF OUR CHILDREN to be able to have this same experience as the women of our community had just experienced. 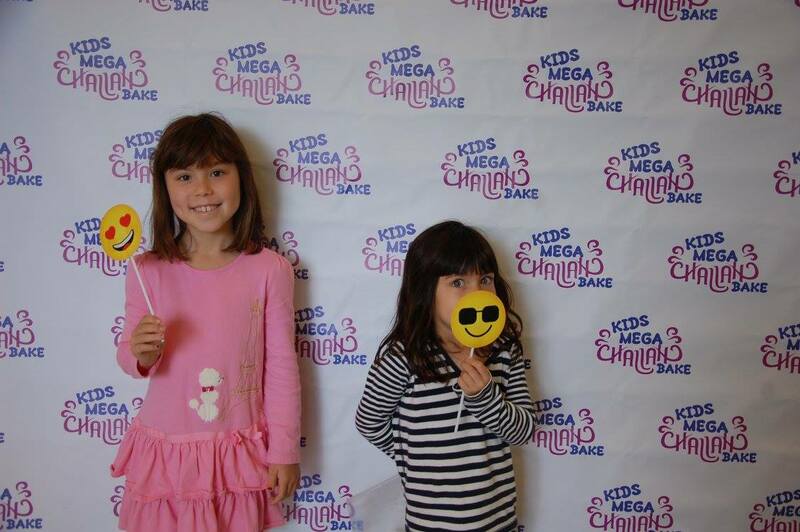 We started brainstorming ideas for the KIDS OC MEGA CHALLAH BAKE 2017, we were pumped and excited for this new and unknown challenge. Little did Nicky know that the biggest challenge of her life was hiding inside of her body. After a routine checkup at her doctor and many scans and tests, Nicky found out that she has stage 4 cancer. As you can imagine, her world around her has been forever changed. The simple plans of her future are put on hold while she embarks on this horrible journey ahead to treat this disease. 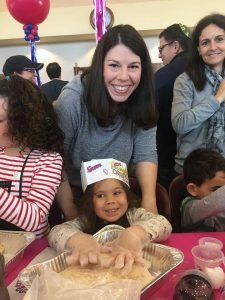 The idea of doing a kids’ challah bake in October was slowly moving away from our reality. I could never imagine planning this event without my “right hand” planning every bit of it. After discussing what we could do as a community for Nicky with Rebbitzins Aidie Naparstek and Gilah Andrusier, we decided a kids’ challah bake in honor of a COMPLETE AND SPEEDY recovery for Nicky would be the perfect mitzvah! 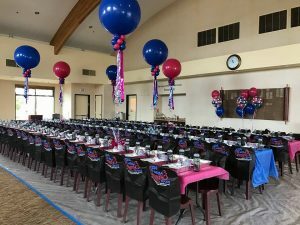 Chabad of Irvine, Rebbitzin Binie Tenenbaum, Rabbi Alter Tenenbaum, Rebbitzin Gilah Andrusier, Rabbi Elly Andrusier, Rebbitzin Aidie Naparstek and Rabbi Mendy Naparstek are pillars of our community who we turn to for guidance. I am honored that they opened the doors to their shul to allow this event to take place there. With Aidie Nap, our dream became a reality today when we brought more than 140 kids from all over Orange County together. Our children came together on Sunday, February 19, and stormed the heavens with prayers not only for Nicky but for anyone fighting this horrible disease! From the bottom of our hearts, we are beyond grateful to our friends and children of our community who came out and joined us.